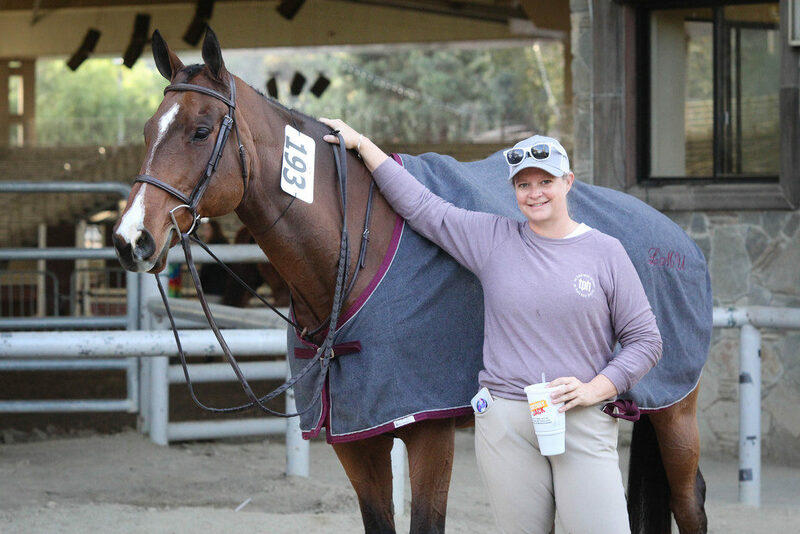 When I first moved to my beloved California barn last year, I heard a lot of rumblings about a big horse show coming up. We’ll be at year end. Everyone’s getting ready for year end. They were referring to the IEHJA, our local circuit, year end show. 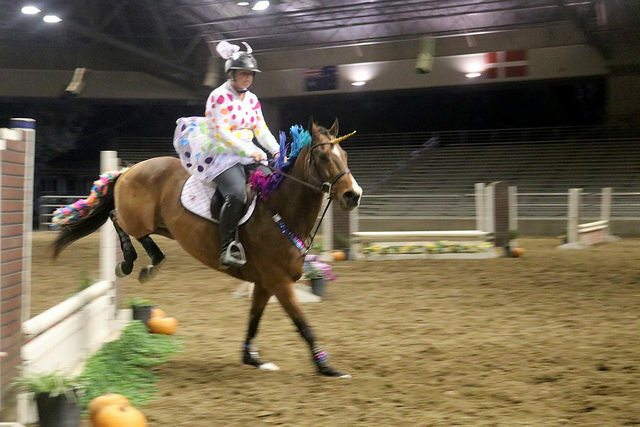 No stranger to local horse show finales, I figured I knew what it’d be like. Maybe a nicer facility, a few special classes here and there. All year, everyone gushed about how great the year end show was. I agreed to go, but I didn’t have any stellar expectations. It wasn’t until I got the prize list that I realized that this wasn’t the same kind of local finale that I was used to. It ran three days instead of two, the classes were more expensive (but also had nicer prizes) and there were all kinds of special events and recognitions: a $1,000 “Jump Scoot & Bounce” costume relay race, $500 2’6″ – 3’0″ Hunter Derby, stall decorating contest, junior and amateur scholarship essay contest, all the regular divisions and of course — medal finals. I signed Simon and I up for all of the things, and told my competitive nature to shove it. 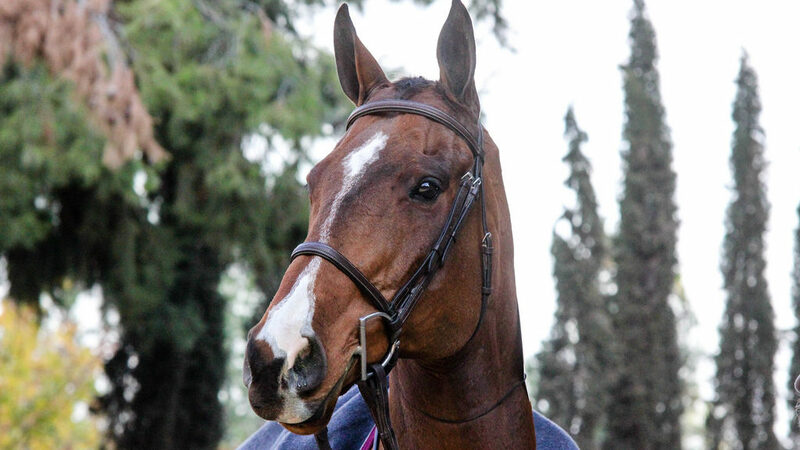 I knew that if I came into the big horse show with expectations, I would ride like an idiot and disappoint myself. 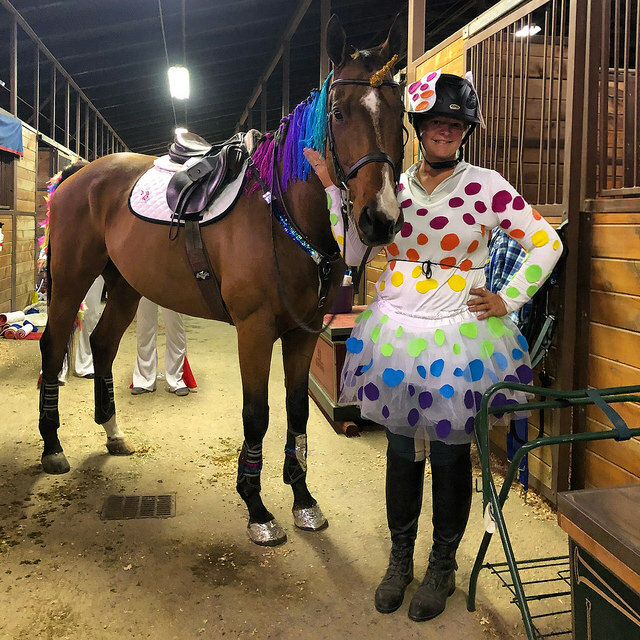 Our lessons at home had been going really, really well… but I told myself it wasn’t likely to all come together in the show ring. Our lead changes at home were spotty, and I couldn’t expect magic to happen overnight. We would do the best we could. The first day, Friday, was all jumpers. Instead, we schooled and Simon was his usual rockstar self… except he hated this giant hill that you had to walk up to get to the big ring. I swear, my flatland Texas Thoroughbred has never experienced an overlook in his entire life. 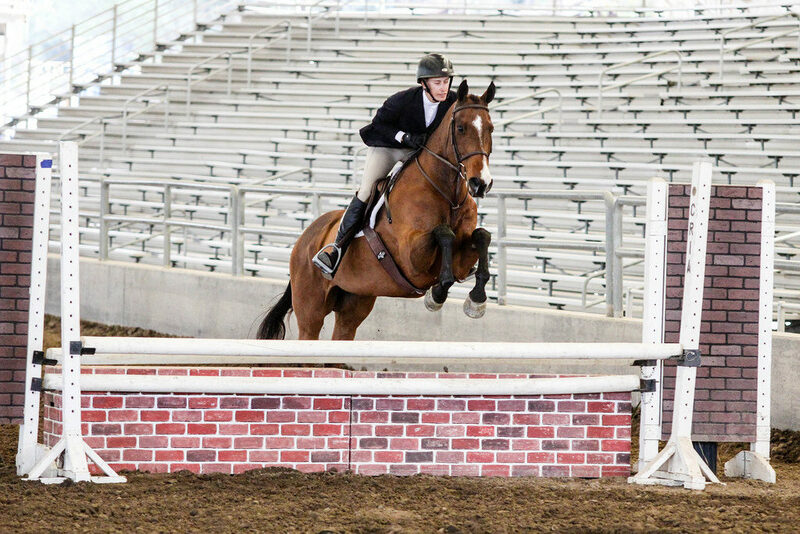 The fact that he could walk up the hill and look down at the rest of the horse show blew his mind. Aside from that, he schooled great. THERE ARE LITTLE HORSES DOWN THERE! The first class we actually showed in was the Jump, Scoot & Bounce. Luckily I got to jump for our team, because my knees cannot handle scooting around on a bouncy ball. The best part about this class was our costume. 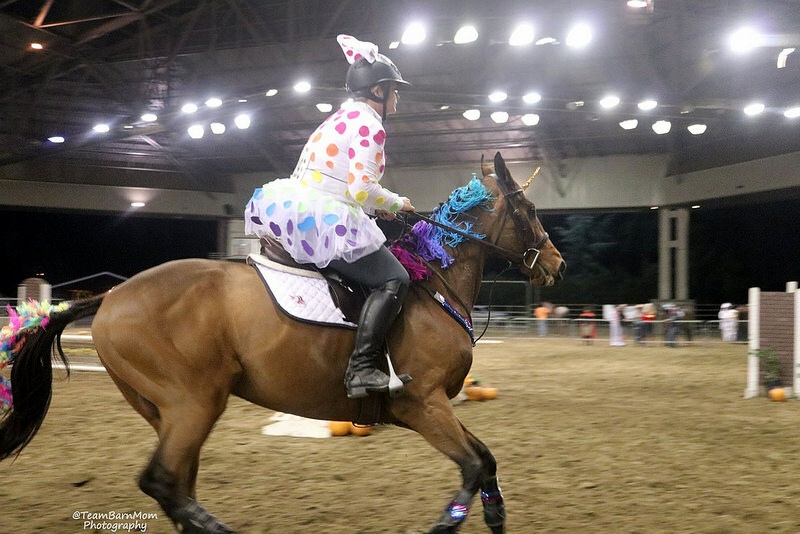 I recycled my rainbow Dalmatian Lisa Frank Halloween costume, and made Simon my unicorn! The actual competition was pretty much won and lost on the bouncy ball. One team had this young boy who FLEW up in the air. It was an impressive athletic feat, and nobody could touch their time for the rest of the 30 some groups. My team did really well, but I missed the first inside turn with Simon because it caught me off guard. For the rest of our little course he channeled his inner Ricky Bobby and we flew through it like jumperland, much to my trainer’s delight. Saturday was our first day of actual hunter classes. Since Friday night was a late one, I opted to splurge and pay a braider instead of doing it myself so I could sleep for a few extra hours. 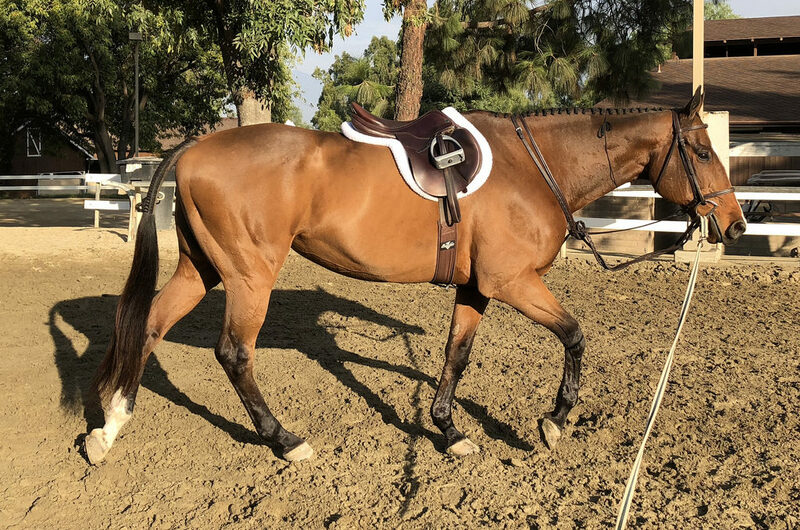 This was an excellent choice since I was already driving an hour each way versus staying at a hotel closer by, and when I warmed up Simon on Saturday I was taken aback at how much he looked like a proper hunter. My boy has really grown up this year! 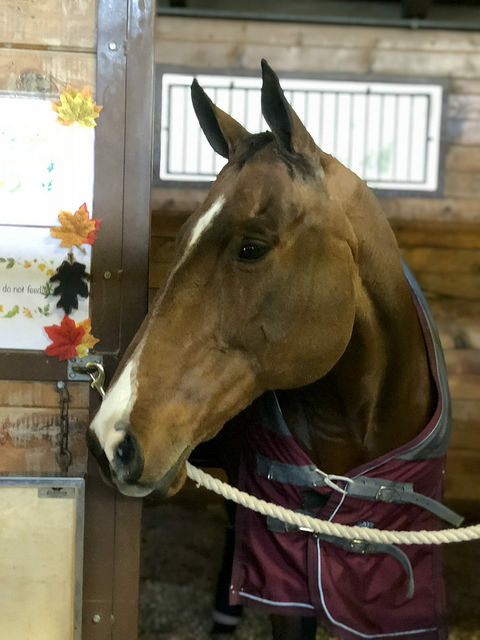 Trainer took him in a 2’6″ class as a warmup to re-install the brain (aka fix wild Simon that I created from the jumper classes the night before). We expected him to be a little bit wild, but he immediately settled in and did the job without any issues. 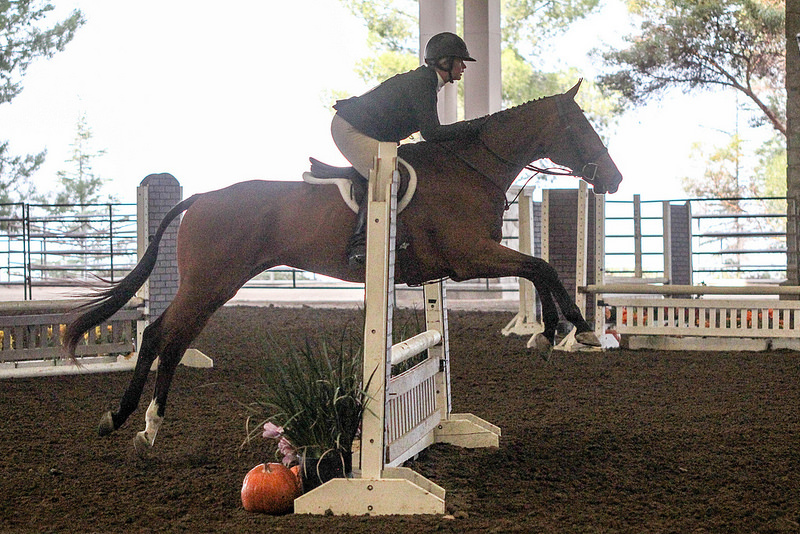 Next she had the pro 2’9″ division with him. 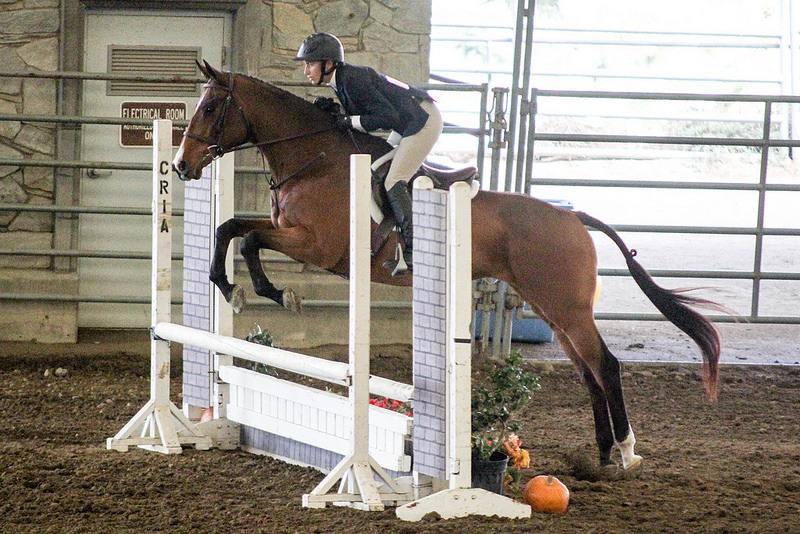 He put in nice rounds, although it’s obvious he’s not an easy change compared to some of the other horses. Still, he jumped around with a smile on his face and because she’s not an amateur brain like me, trainer doesn’t miss and gets all her leads. He got some 3rd’s and 4th’s in a competitive class, which was good because points and it was mostly to school him for me anyway. Later that afternoon, I went in for my 2’6″ Low Ch/AA classes. 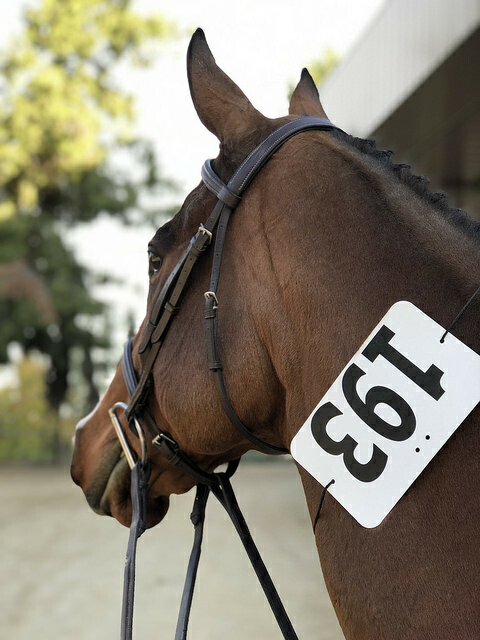 Somehow, and I wish I could tell you how because I’m usually a nervous wreck, I managed to swallow any nerves and just went in there to do the best I could with my horse. Our first hunter round wasn’t super remarkable. Fine, but nothing to write home about. Our second round was the handy hunter, and I pretty much live for anything handy because Simon is so good at those. 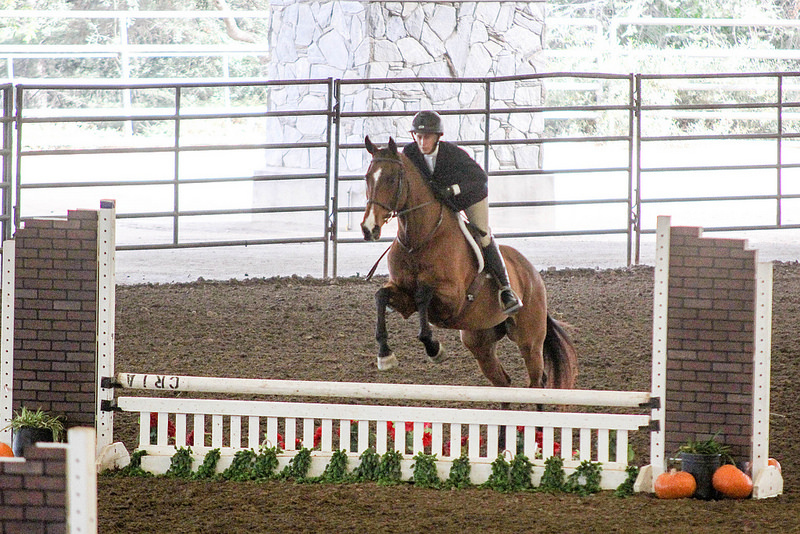 The course included a gallop jump, which I was so pumped about. I asked my trainer if I could really gallop, and she said I needed to have a noticeable change in pace but then maintain that pace. So I went in with that plan. We did the trot jump! We did the gallop jump! We landed on every lead! I have never had such a good course in my life, and I didn’t need to see trainer’s face to know she was proud when I walked out of the ring. This is why I love horse showing. Going out in the ring by yourself on your heart horse and being able to put it all together is the best feeling in the world. It’s something I haven’t been able to replicate in any other aspect of my life. I found out a bit later that we won that handy out of a big class of 9 horses, and got 3rd’s in our other two Low Ch/AA classes that day. After my handy, I knew that everything else for the rest of the horse show would be icing on the cake. Spoiler alert – my cake ended up having a lot of icing, but that’s a story for another day!